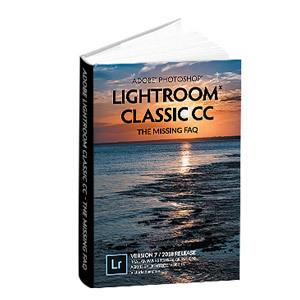 Lightroom Classic Tutorials > Keyboard Shortcuts > Some of the shortcuts don’t work with my language version or non-English keyboard—can I fix it? If you’re using the English version of Lightroom with another language’s keyboard, some of the keyboard shortcuts might not work. You can change those shortcuts using the same TranslatedStrings.txt file that we used in the Import chapter to create custom dated folder templates. The TranslatedStrings.txt file contains all of the translations for its language—and also includes the shortcuts. This isn’t officially supported by Adobe, but you can edit the file to reassign the shortcuts, and many users have done so without issue. To access the Mac folder, right-click on the app and select Show Package Contents. If you’re using the English version of Lightroom, the file and folder may not exist, but you can just create a plain text file called TranslatedStrings.txt inside a ‘en’ (Windows) or ‘en.lproj’ (Mac) folder. If you’re using another language, the file will already be in your language’s project folder, for example ‘fr’ or ‘fr.lproj’ for French, and you’ll need to edit that file. Use a plain text editor such as Notepad on Windows or TextEdit on Mac, rather than a word processor like Word. If you’re editing an existing file, obviously back it up first! The file is long, so you’ll probably need to use your text editor’s search function to find the shortcut that you need to change. For example, to change the Decrease Rating shortcut from [ to ; you’d find the line that says “$$$/LibraryMenus/MenuShortcut/DecreaseRating=[“ and change it to “$$$/LibraryMenus/MenuShortcut/DecreaseRating=;”. 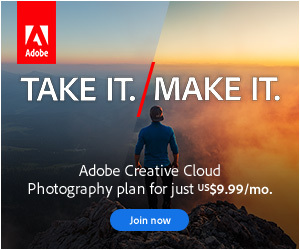 It comes into effect next time you start Lightroom. Once you’re happy with the result, don’t forget to back up your new TranslatedStrings.txt file, as it will be replaced each time you update Lightroom. If you have any problems, delete the file if you’re using the English version, or restore the backup of the other language version. Victoria, thanks a lot for this info – I was sure this method (or a very similar one, maybe it was a different file?) stopped working with LR 4 or LR 5. I don’t know, I just remember trying it a long time ago, and not being able to make it work, and then reading somewhere that this method was no longer working with whatever Lightroom version I was using at the time, and that Keyboard Tamer wouldn’t work either. So I just took for granted there was nothing I could do about it… until now. After reading your comment on Photoshop family’s forum, I tried this methos and -while I had a hard time locating the shortcut I wanted- it finally worked! Well, I wanted to change 2 shortcuts and only 1 of them is working, but it’s enough for me. As I say, I don’t know if this is the exact same method I used 2 or 3 years ago, but now it’s working and I wanted to say thanks!!! Great news, thanks for reporting back Carlos! Unfortunately, this does not work anymore since the 2015.8 update. Because they switched from “TranslatedStrings.txt” to a individually localized version like “TranslatedStrings_Lr_de_DE.txt”. I used this trick to use the english version of Lightroom but have the German keyboard shortcuts. Would be nice, if someone know how to repeat it in the new version. but none of them worked. It seems, that Lr is not reading these files from the “en.lproj” folder. Please add your me-too vote and details of why you want that feature, to make it a little more likely Adobe will fix it in the next release. The empty txt. worked but the shortcuts change did not. Well.. it only worked last night. Today my shortcuts don’t work. So annoying!!! Which LR version number (under Help menu > System Info) are you using Aisha?